The Ultimate Holiday Gift Guide…For Your Feet! As the holidays fast approach, all of us are racing to find the perfect gift for all our loved ones. One of the best gifts anyone could receive, in my humble opinion, is that of good health and freedom from pain. 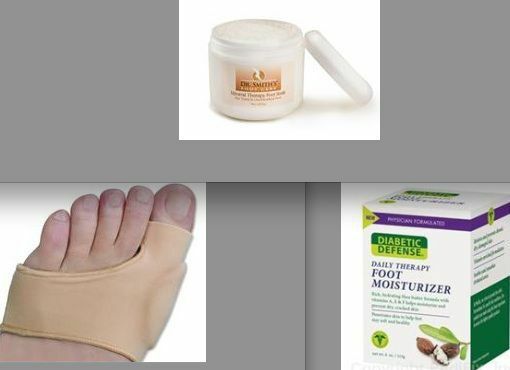 With that idea in mind, I’d love to present the Houston Podiatrist’s holiday gift guide. All products described are available on Tanglewood Foot Specialists’ online store. •Comfortable medical plush compression wrap and two Heat/Ice packs that can be assembled in any position within the wrap. •Specifically designed for the unique curvatures of foot and ankle. •ActiveWrap's hot/cold packs also provide interval contrast heat and cold treatments, which are effective in the post–acute phase of injury. Designed to keep feet soft, smooth, and healthy-looking by penetrating thick and hard skin to moisturize, soothe, and protect. •Cushions and protects the painful bunion. •It's large soft gel pad protects the bunion from shoe pressure. •The cushion conforms to your foot and does not create bulk in your shoe. •Universal – provides a comfortable fit on either foot. At Tanglewood Foot Specialists, Dr. Andrew Schneider prides himself in providing his patients with relief from foot pain. Whether you’re gifting others with foot care products or seeking help for a personal problem, come by our office or check out our store to see how we can help you find your perfect foot care solution.